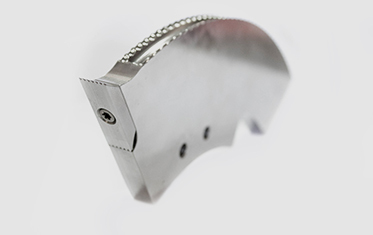 Not only do we supply standard specification upper slotting knives, we have special knife adaptations available, designed to enhance your production. 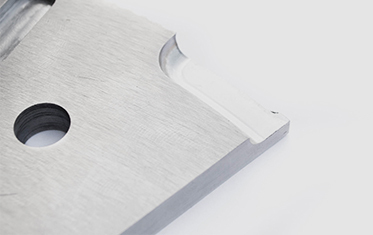 Whatever your cutting problem, we’ll have a proven solution for you, or develop a bespoke design. Get in touch with our friendly sales team today who can help assess your specific needs and offer a proven upgrade for you. Alternatively submit a quote request. Original slot knife edge (no teeth), long lasting performance, lower cost and easily reconditioned. Recessed for "Auto Set" Machines. 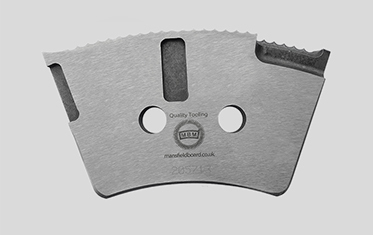 A very sharp edge profile, delivering super clean slots on all board grades. Handle with care! A fine-tooth serrated edge profile. Achieves a superior slot on lower grade board, and becoming more popular as paper weights reduce. 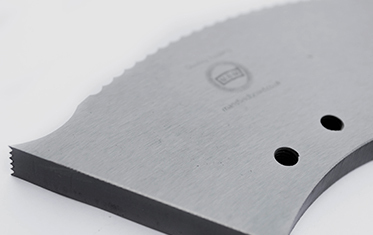 Clean sharp cutting action from the patented ‘Wave’ profile. A sharp cutting edge without “sawing” therefore reducing dust and safer to handle. The absence of pointed serrations means the cutting edge is stronger and withstands wearing forces longer, while also reducing lower / female slot knife wear. Is a precision machined serrated tip, designed to help with achieving a cleaner and more precise start and finish to the slot cut. A unique feature upper slot knife with a replaceable tip end. Quickly rotate or replace the serrated tip to keep slot quality optimised, reducing costly early knife changes. 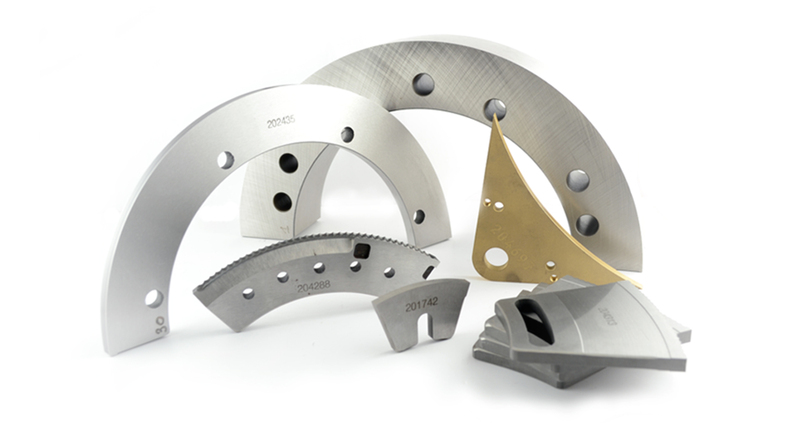 Proven to help the upper slotting knife engage whilst causing less damage to the lower slotting knife. Enables more controlled waste management. Feature designed to work with the Shok Blok® system for a positive overlapped cut of both slot and flap, ensuring removal of any tab waste still attached at the corner. 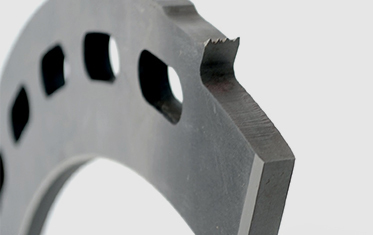 Made from through hardened tool steel, precision ground and split for perfect matching halves. Strippers are available in Brass, Bronze and 10G40 materials. Our unique knife reconditioning process can SAVE your plant money.